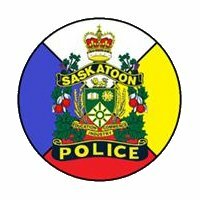 The Saskatoon Police Service continues to build bridges and strengthen relationships with Indigenous Communities. This is important to SPS, not only because Indigenous people represent a large percentage of the community we serve, but making those connections is also a fundamental step towards reconciliation. 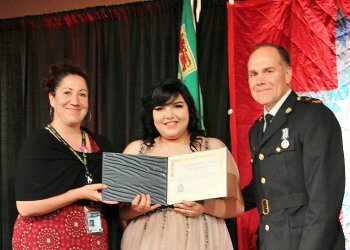 Every June, SPS awards two grade 12 students with the Community Justice Award at the Saskatoon Indian and Metis’ Friendship Centre Graduation Gala. The $750 awards honour Indigenous students who are community-minded, dedicated to their studies and interested in a career in Policing or Criminal Justice. 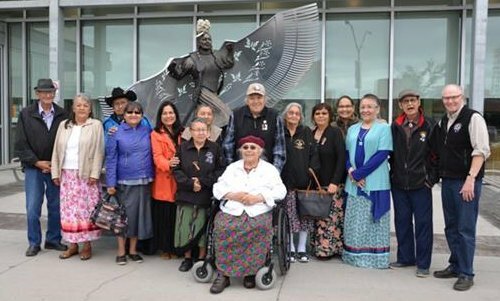 In May of 2017 a monument dedicated to Missing and Murdered Indigenous Women and Girls was officially unveiled on the front steps of Police Headquarters. The monument was made possible through a collaboration with the Saskatoon Tribal Council, the Province of Saskatchewan, and the SPS. "The Saskatoon Police Service is honoured to be the home for the monument to missing and murdered Indigenous women and girls," said former Police Chief Clive Weighill. "It is our hope that the monument represents not only a place of reflection and peace, but also represents the strong partnerships our Service has with the Saskatoon Tribal Council, the families of victims of violence, the province of Saskatchewan and the City of Saskatoon." "The Saskatoon Tribal Council has been working with the Saskatoon Police Service, the City of Saskatoon and the Province since 2015 to acknowledge the tremendous importance of focusing on our murdered and missing Indigenous women and girls," said Tribal Chief Felix Thomas. "This monument exemplifies the serious impact even one Indigenous murdered or missing woman or girl has on our community, not just our First Nations, but everyone the city, the province, the country - this is a problem that affects us all." Created by artist Lionel Peyachew, the life-sized bronze sculpture depicts a woman named Wicanhpi Duta Win or Red Star Woman, a fancy dancer with her shawl as her wings. The monument is a gathering place for marches, ceremonies and a place to pray or reflect.